Another hectic weekend in Puglia. 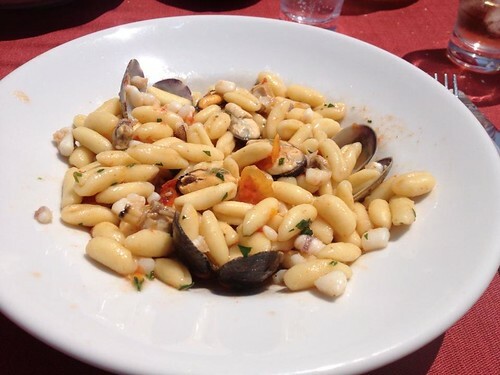 As well as all the Sotto le Stelle stuff we managed to pack in Aperitivo Classico at Bar Fod, a sea food lunch at La Rotonda da Rosa, a Jazz concert and assorted admin. Oh yes, and a couple of hours sunbathing. 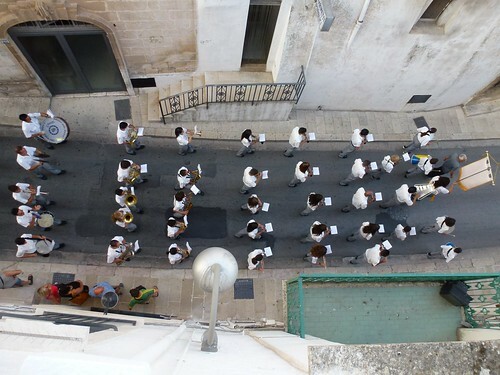 There was a marching band event in Cisternino while we were inspecting Sotto le Stelle. The band passed under our window. What we had not spotted was the parking bay suspension between the hours of 18:30 and 21:00 which cost us a EUR 41 parking fine. 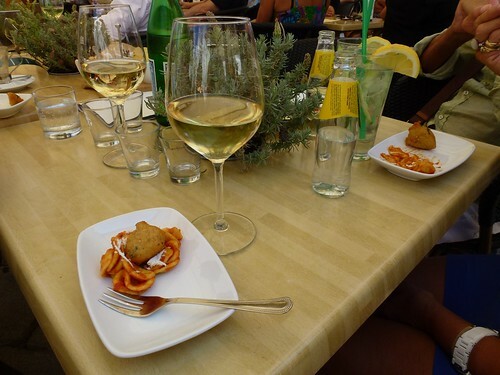 The next day it was off to Bar Fod for Aperitivo Classico followed by supper at Chris and John's (hic!). On our last visit we commissioned Saverio to spruce up our side of Trullo Azzurro ready for letting the entire property. Various scuffs, dents. stains and leaks all fixed. We could live with them if it was just for ourselves but for renting they have to be tip-top! Other admin including paying the Italian equivalent of council taxes and buying wine and coffee for the welcome packs. Monday was spent mostly down the beach at La Rotanda da Rosa.